Southern Chateau: So Many Fabrics, So Little Time! 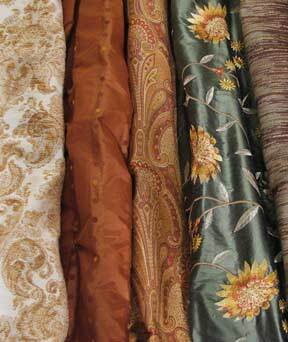 Fabrics bring so much to a home. They bring color, texture, and pattern, but mainly they bring spirit and personality to a room like no other decorating tool. I love fabrics of all kinds and lately the trend has been leaning toward using plain, unpatterned linens, silks, and cottons at the window and on furniture. While I love that look, it can get boring after a while. 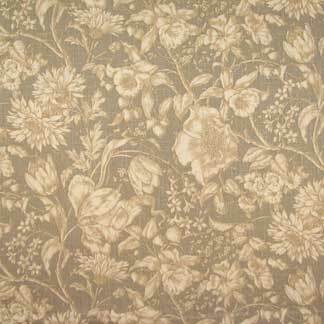 A pretty patterned fabric will forever be current as far as I am concerned. 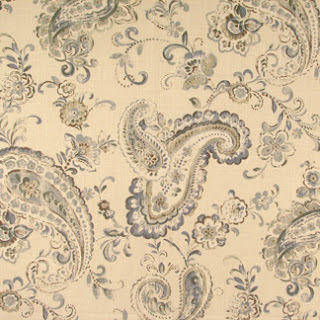 Like classic furniture styles that will never go away, there are classics in fabric design as well. We are gearing up for a custom window treatment event and as I was choosing fabrics for the collection, I noticed that certain patterns seem to draw me in the most. I will share a few with you. This Ikat-style pattern just hits me every time I see it. 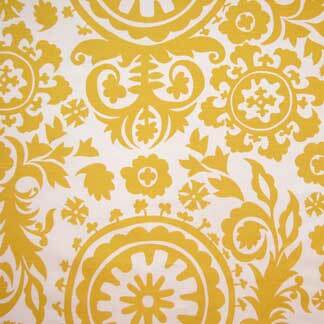 If you don't want a bold pattern such as this on furniture or drapery (although I would! ), then a couple of clean-lined pillows done in it would be gorgeous! I think this sunny Ikat look is just so cheery and pretty. I think would great on a classic French chair or any room needing a burst of sunshine! Warm grays are so current now and I have talked before about the bird motif being hot as well. Here you have them both in this pretty print which has sort of a damask-like feel to it. 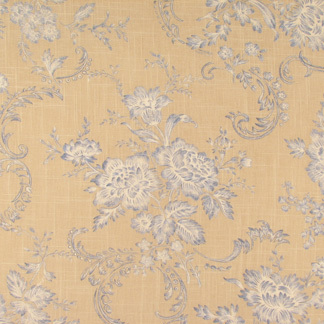 I really love the combination of warm gray, cream, and gold colors and this toile is a beauty. So classic. 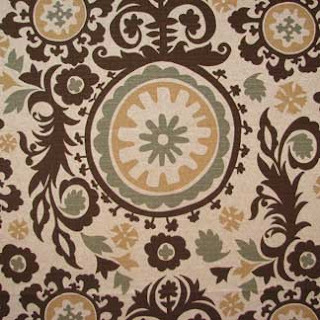 Tree-of-life pattern fabric will never be passe. 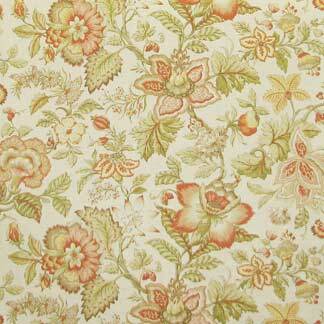 This particular pattern is so fresh with the soft greens and corals on an ivory ground. And of course blue and yellow is another classic combo that I never stop loving. 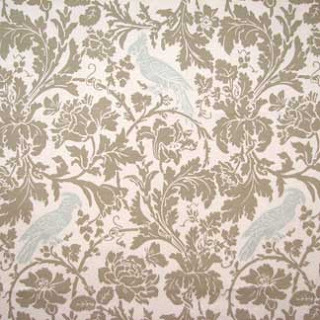 Here it is is expressed in this soft and beautiful toile pattern. 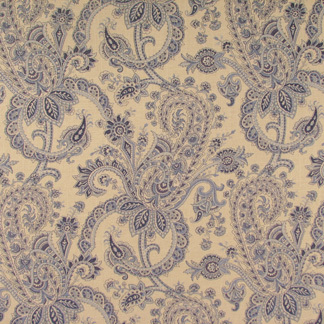 Paisley will forever live and when done in classic blue-and-white it sings. 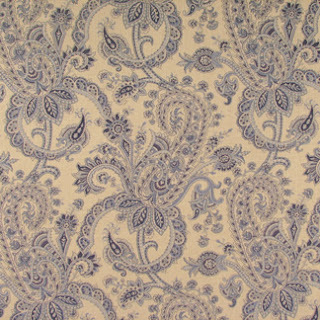 This is another paisley done in soft shades of blue and gray. This just says to me it wants to live in my bedroom! If you want to bring new life to a room, fabric is a great way to do it and can provide a wonderful starting point for your whole design scheme. If you have been living with plain fabrics for a while, consider bringing a classic patterned fabric in somewhere to add some beauty and color. Be sure to follow Carol Raley Interiors on Facebook! We will be showing more fabrics and gorgeous hardware for our custom drapery event. Check us out! Carol we just had a coincidence or I like to call it a God-incident. I just posted a window treatment i installed this week using the exact "tree of life" pattern you posted in your blog! Great creative minds think alike! We adore the the gray and blue fabric. So many wonderful fabrics you have featured. Have a wonderful weekend! Love the yellow and white fabric...so happy and bright!! I am a fabric lover and hoarder. There I said it! I have that yellow one on the walls of my bathroom. You are right that it would be great on chairs. I think using drop cloths of curtains and slips is really a snooze, and all the rest of that boring stuff, unless you really and truly can't do any better. But there is always paint! I just have to have color. I too am a fabric lover!!! I love the pasileys you are showing.Beautiful. I do feel the need to correct you regarding the first 2 fabrics you show. They are not Ikat patterns but rather a pattern called Suzanni.